Hello and welcome to another eyeshadow palette review. 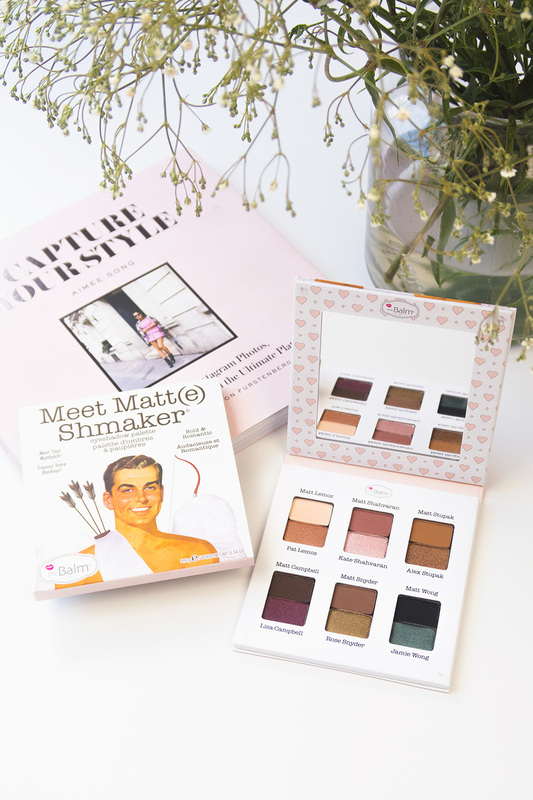 This time I'll be giving you my thoughts on the Meet Matte Shmaker palette by The Balm. 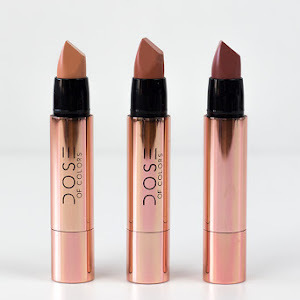 It's the newest in the Meet Matte line, and the first of them to include shimmer shadows. I've had my eye on it since it was released, so I was pretty excited when it was sent to me. I've never tried The Balm's shadows before, so I was definitely interested to see if the formula is all it's hyped up to be. First things first: the packaging. I'm not usually one for overly cutesy packaging, but I do like this. It's sweet without being sickly (at least for my taste). I know it won't be for everyone, but it avoids being in the Too Faced Chocolate Bon Bons "childrens makeup" category for me. I also like the slim cardboard packaging. It's more lightweight than plastic, and so much better for the environment. I know some people think it looks cheaper, but I would rather something take up less space in my drawers and be a little more travel friendly. I love the layout of the shadows themselves. I tend to get a little overwhelmed when shadows are arranged more chaotically (see Kat Von D Saint and Sinner). With them set out so clearly, in matte/shimmer duos as well as matte and shimmer rows, I find creating looks so much easier. It helps me to clearly see each colour, rather than shades getting lost in my mind. I do think they could have put them a little closer together to get rid of some of the empty space, though. I've been testing the palette for a few weeks now, so I've had time to use every shade. The mattes are nice. They are decently pigmented and can be built up. They are a little on the dry side, so if you prefer your shadows to be 'buttery' then they may not be for you. I personally don't mind a drier shadow, so it's not a negative for me. I have noticed that they aren't as long lasting as most of my eyeshadows. They last about eight hours before fading, but to get me from application to removal I generally need a 14 hour wear time. It's nothing a little eye primer can't fix, but still worth mentioning. The shimmers are good quality. They aren't intensely metallic (unless you wet them) but they are definitely vibrant. They have better longevity than the mattes do, but that's usually the case for shimmer shadows. The variation across the twelve shades is good too. You get a good selection of neutrals, plus a few pops of colour. It's not groundbreaking, but it makes a nice addition to my collection. 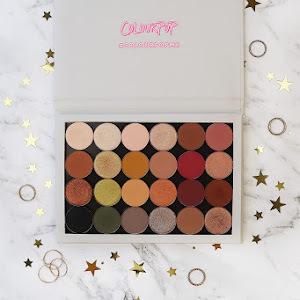 The palette retails for $39.95 AUD ($29.50 USD). I think it's a little pricey, but I do like the shadows, so it's really about your budget. If for you there isn't a great difference between twenty and fourty dollars, then go for it. But if you're in a position where spending that much is a big deal, I would pass on it. 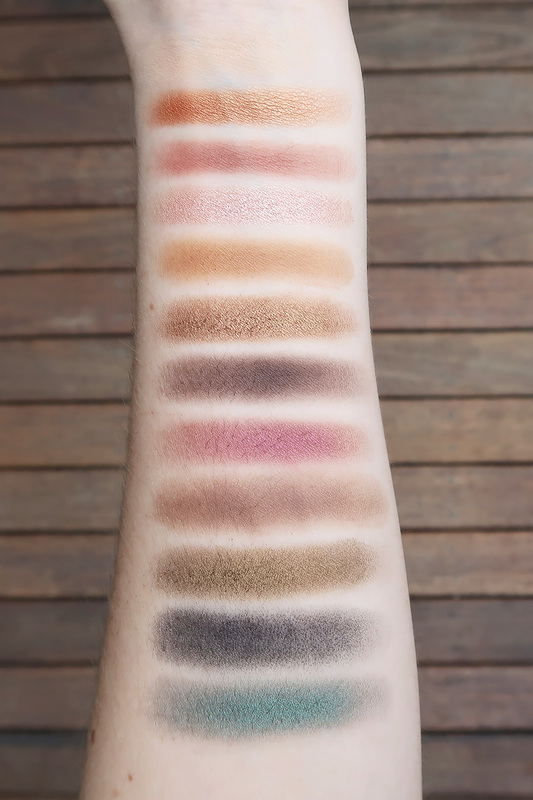 I've been in both situations before and I know there are times where I would pick this palette up without batting an eyelash and be happy with it. But I've also been in a position where I would have to save up to spend that much, and honestly I don't think it's worth being a "splurge" item. To sum it up, I think this is a good eyeshadow palette. 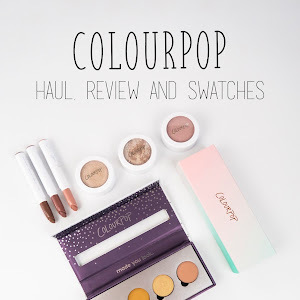 I like the colour selection, I'm happy with the performance of the shadows and I like the packaging. I think it could stand to be a little cheaper, but I don't think it's outrageously priced either. 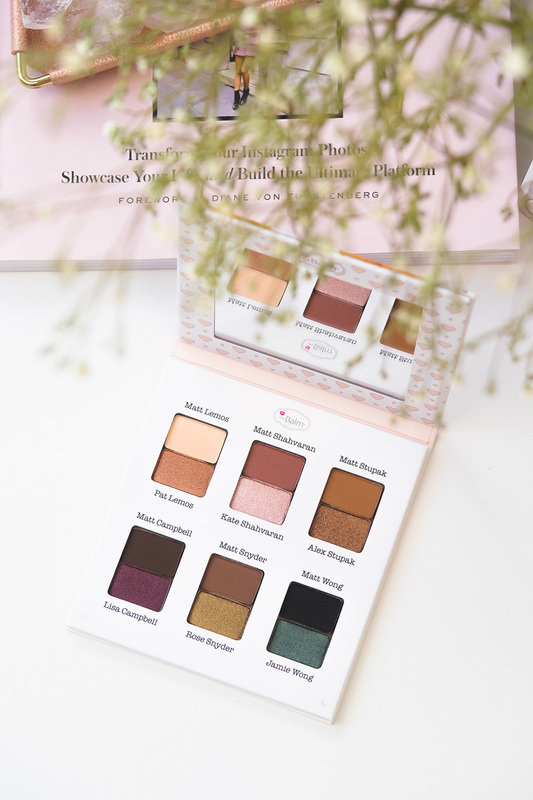 It is a really beautiful everyday palette and it would make a lovely travel companion. It really makes it easier for shades to not get lost in the mix! 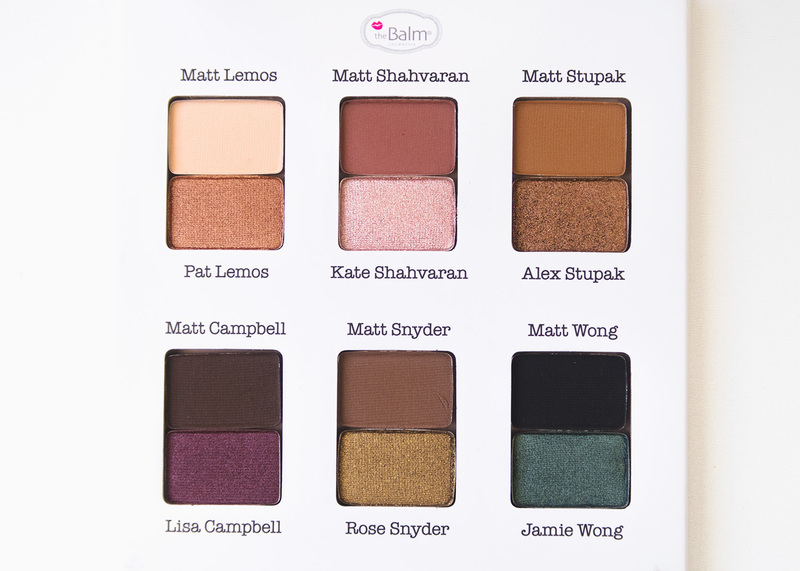 i've never tried any the balm eyeshadows but they look just beautiful. Loved this palette. The shades are so beautiful.